join the fun and bring home your box! Can be made until the end of Feb in the office. Donations of gift cards to Safeway, Fred Meyer, cash, creamy peanut butter, canned fruit & tuna, vanilla, baking powder, lemon juice, salt, vinegar, honey, canola oil are appreciated! You can bring donations to the brunch or to the CST office until February 20th. Put in your order today! Only pre-orders are guaranteed! Mail in your form. This project is only possible with volunteers like you! Be A Part of the Magic and Deliciousness of Hamentschen and Volunteer this year! 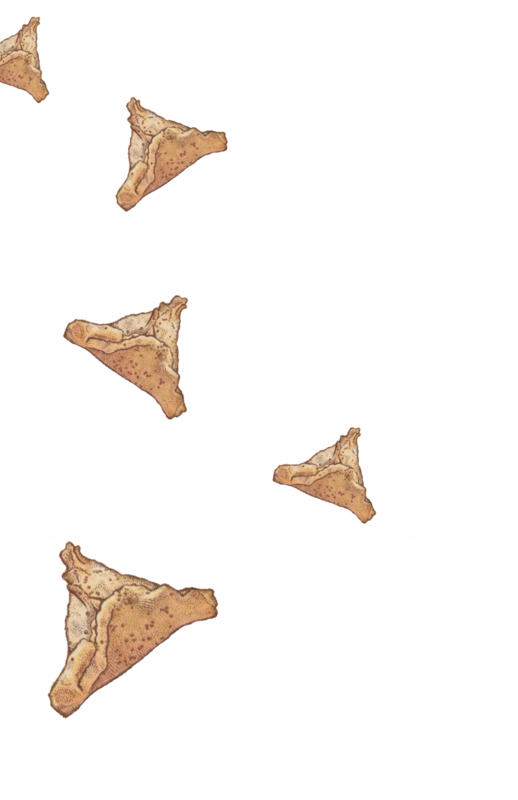 Hamentashen: Fun to eat, even more fun to make! Volunteer to bake or sell. Our Sisterhood is about to embark on the annual hamentashen baking and sale. They have customers from all over Portland who buy these tasty treats and in turn Sisterhood funds many wonderful aspects of our community. Our hardworking bakers are about to start a multi-week process that will eventually make about 30,000 hamentashen! You have never seen anything like it (unless you have previously helped). It’s great fun, and a great community builder. Everyone is invited to help, including children 12 and over. Questions? Charlotte Tevet to volunteer at 503 319-7825 or ctevet2004@yahoo.com. 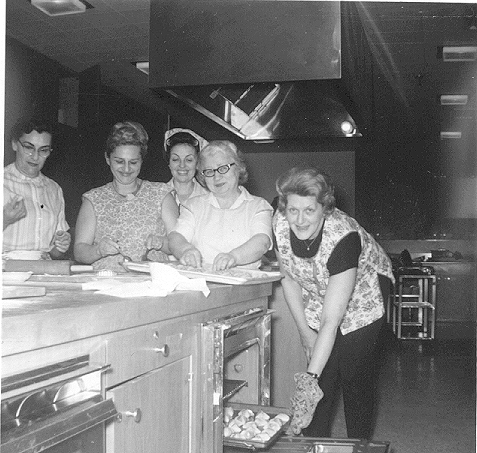 In the 1950s, Sisterhood began its most famous fundraiser, the baking of hamentaschen, and in its first year sold 100 dozen. 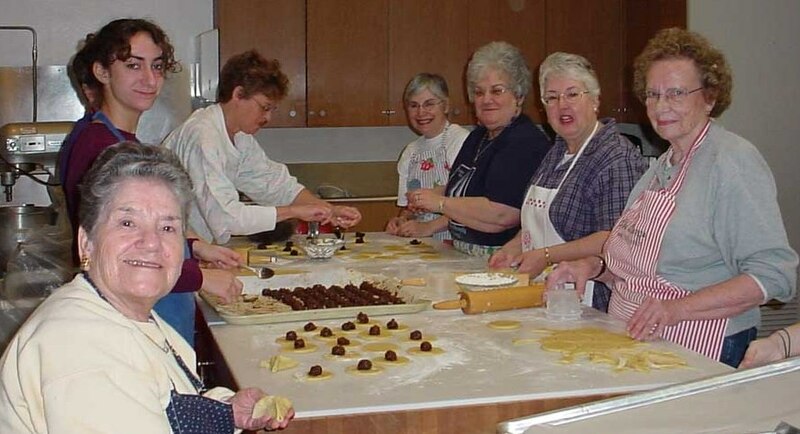 In the warm, noisy kitchen, experienced cooks teach the novices how to roll dough, shape balls of fruit, knip, egg wash, bake, and pack. Last year the Sisterhood made over 2,500 dozen with the help of over 100 volunteers. They are shipped all over the world. The Sisterhood is looking for volunteers to help out. They need all the help they can get. Men and teens are also encouraged to join in. There are jobs for everyone even if you’d prefer not to be in the kitchen or can only volunteer for a short time. Don’t forget to place your order! Pick up one dozen or more of these delicious and famous Hamentaschen! Tues. Feb. 26, 11:30 am – 3:00 pm.